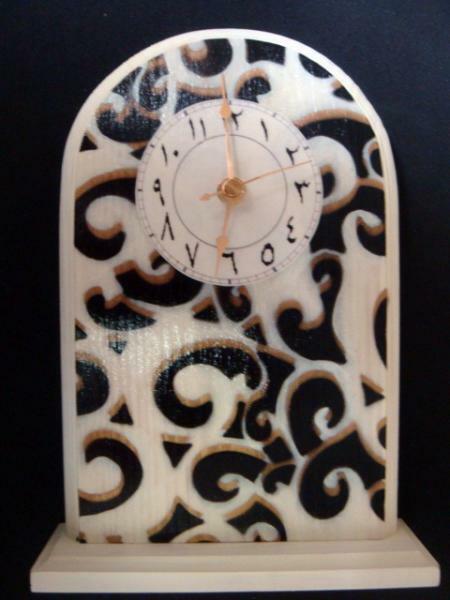 This standing clock with Arabic numbers is sure to brighten up any room. 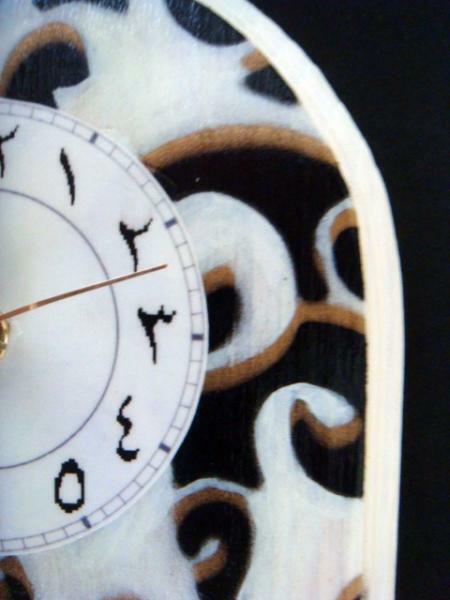 It measures 9" with Walnut Hollow clock hands and parts. I spray painted a gold floral design then added the same design but in black on top. I then decoupaged the numerical face in the middle then placed it on a painted clock block. Then I added two more layers for a nice finish. Comes ready with an AA battery.